This is what happens when you take two of my toast faves and join them together. 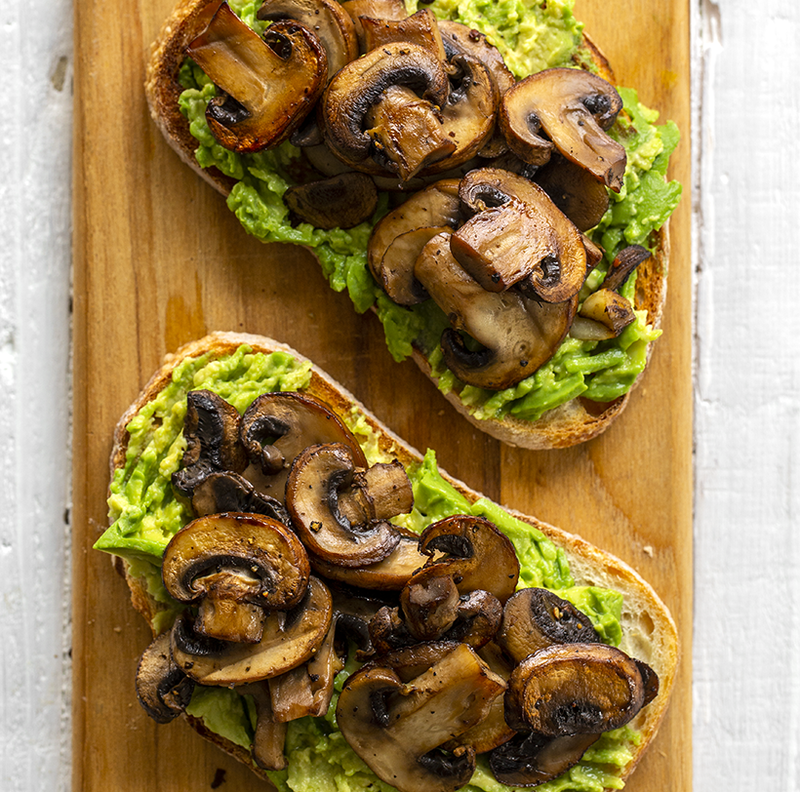 Mushroom Toast + Avocado Toast = today’s recipe for Mushroom Avocado Toast. This super easy and simple recipe is packed with flavor and is delicious as a quick lunch, brunch or breakfast. I love this toast paired with a matcha latte in the mornings. Watch me make it and get the recipe!…. Mushrooms are one of my favorite ingredients to work with. They provide so much savory flavor and hearty texture. And of course, avocados are something I always have on hand and love to work with. You can use any mushrooms you’d like. Shiitake is my personal fave, but for extreme ease, I used pre-sliced crimini mushrooms today. You can really get exotic with the mushrooms you choose to use. Try enoki, oyster or my other fave, maitake! I added a hint of garlic – shallot or onion could also be added to the pan. I use EVOO as the skillet base. If you’d like, a teaspoon or two of vegan butter can be added to add even more richness.